Superchips coverage of the latest turbo-petrol BMWs extends across the 3-, 4-, 6- and 8-cylinder models, from 1.5L up to the 4.0L V8. Boundaries are there to be broken, and the BMW i8 supercar is no exception. The BMW i8 uses a version of the 3- cylinder 1.5L engine, similar to that used in the 1 and 2 series as well as the Mini. In the i8 the engine is fitted with a larger turbocharger and different pistons with a lower compression ratio. This is all supplemented by a powerful hybrid energy system with the front wheels being electrically driven and the rear wheels having a mix of electric and internal combustion power. The powertrain has a combined output of 362BHP and 570Nm. The Superchips conversion adds 37bhp to this figure, and 62Nm torque. This improvement not only provides the car with improved performance – around half a second was removed from the 30-70mph sprint – but also greater driveability and more relaxed cruising. The conversion can be carried out by one of Superchips’ nationwide dealers and the price of £799 includes labour and VAT. The conversion is covered by Superchips’ no-quibble seven-day money back guarantee and the device itself is also covered by Superchips’ product warranty*. *Terms and conditions apply. See website for more details. Owners of cars from the BMW range, using the two-litre, turbocharged four-cylinder petrol engine can now enjoy significant gains in performance, thanks to the latest conversion from global ECU remap expert, Superchips. Previously we’ve seen remap conversions for the 20i and 28i, and now we complete the family with the 18i, 156PS variant. The engine, fitted with Bosch management and found in the Z4 and X1, leaves the factory with a detuned 156PS. Because the power is artificially restricted, the conversion makes some astonishing figures. 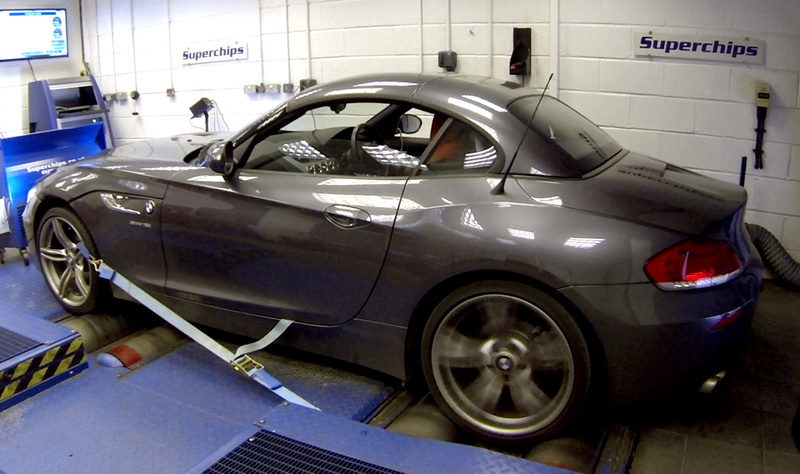 The Superchips remap adds a very impressive 121bhp at 6277rpm and 132Nm torque at 6070rpm. Not only does the Superchips conversion demonstrate increases across the engine’s rev range, it also holds on to torque far longer and at a much higher level than the original engine. This means that the power curve also continues to climb past the original engine’s maximum level, which is reached at just 2500rpm. The remap is specifically designed to drive in a similar fashion to a big naturally aspirated engine – driveability and reliability are key. This means a significant improvement in performance, with acceleration greatly improved, but not at the expense of driving feel and throttle response. 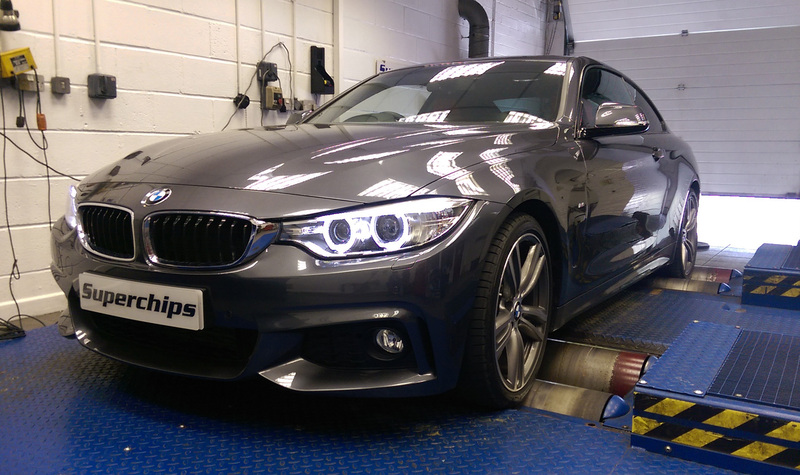 Owners of cars from the BMW range, using the two-litre, turbocharged four-cylinder petrol engine can now enjoy significant gains in performance, thanks to the latest conversion from global ECU remap expert, Superchips. The engine, fitted with Bosch management and found in the Z4, X3, X1, 320i and X4 ranges, leaves the factory with a healthy 184PS. 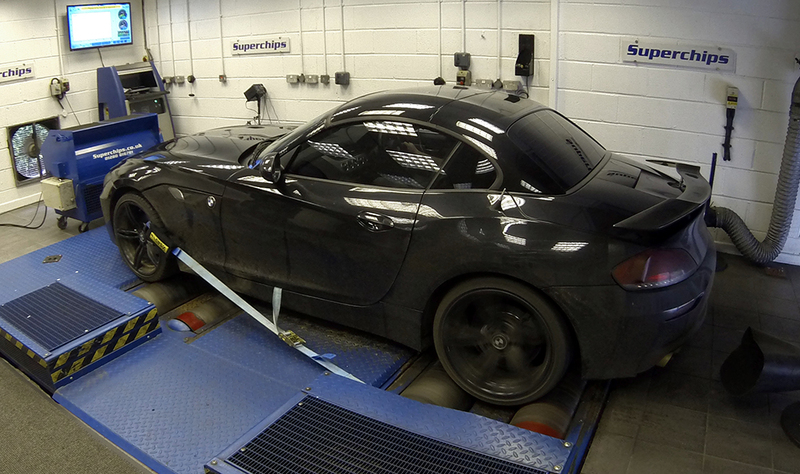 However, the Superchips remap adds a very impressive 81bhp at 6123rpm and 75Nm torque at 5548rpm. Not only does the Superchips conversion demonstrate increases across the engine’s rev range, it also holds on to torque far longer and at a much higher level than the original engine. This means that the power curve also continues to climb past the original engine’s maximum level, which is reached at just 4500rpm. This means a significant improvement in performance, with acceleration greatly improved. 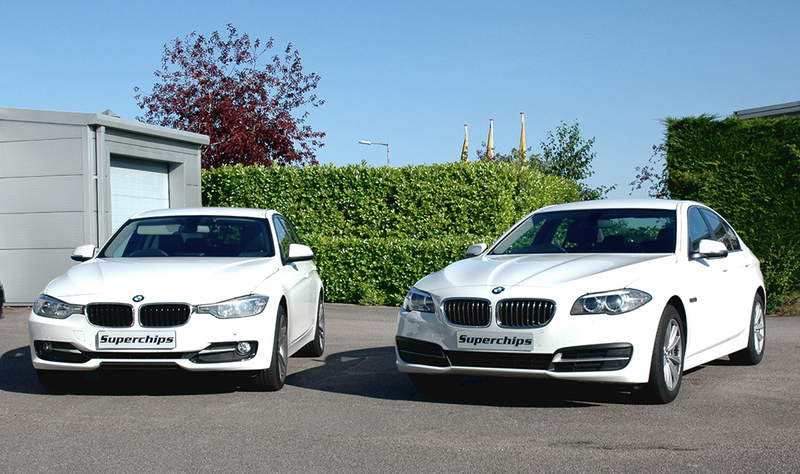 World ECU remap specialist Superchips has introduced two more conversions for BMW models; the 2.0-litre turbodiesel engine and the range-topping M50d using the 3.0-litre turbodiesel. Both engines are Euro6-emissions compliant and both use Bosch management systems. The 2.0-litre variant is the mainstay of the engine range and is found in a huge variety of the marque’s model ranges, including the 1-, 2-, 3-, 4- and 5-series. Developing 190PS from the factory, the Superchips remap adds a very useful 43bhp at 3247rpm and 94Nm torque at 3147rpm. The three-litre engine, used in the X5 M50d model, leaves the factory with double the output of the smaller version but sees even more impressive gains from the Superchips remap. Power rises by 54bhp at 3402rpm while torque grows by a huge 111Nm, at the same engine speed. Following the remap, drivers will enjoy greatly improved performance and acceleration, for a more rewarding drive and safer overtaking. They will also see benefits in driveability, with significant gains in mid-range torque. They can also expect to see up to 7% improvements in fuel economy, when compared with a similar driving style. The conversion is carried out by one of Superchips’ nationwide dealer network and typically takes around an hour. Customers can either wait at the dealer or drop off their car and return later to collect. The cost of the remap on each engine is £399 including VAT and labour. The conversion is covered by Superchips’ 12-month/30,000-mile warranty*. Until now, the company has used its Superchips EPC tuning device, which contained the revised settings for the engine’s ECU to help increase power and torque, as well as in some cases, fuel economy. However, the company has been working on developing a method of reprogramming the ECU directly, using the vehicle’s On-Board Diagnostics (OBD) port, as it does with so many of its other conversions. 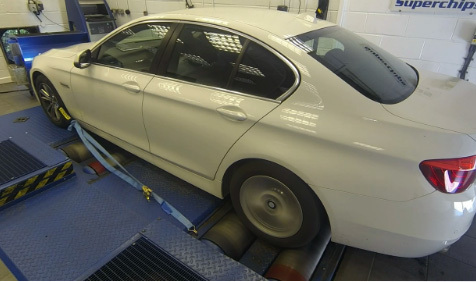 However, before this can take place on the F-Series chassis of the BMW range, the car’s ECU must be removed, opened, reprogrammed and refitted. This then enables Superchips to communicate with the vehicle via the OBD port. As with all of Superchips’ conversions, the gains are very impressive, giving both turbocharged petrol and diesel engines useful gains in torque and power. Diesel engines typically experience up to 7% gains in fuel economy as well, when compared with a similar driving style. The process typically takes three hours and the customer can either leave their car with the Superchips dealer or wait while the conversion is carried out. The cost of the BMW remap is £399 including VAT and labour and all are covered by Superchips’ market-leading 30,000/12-month warranty. 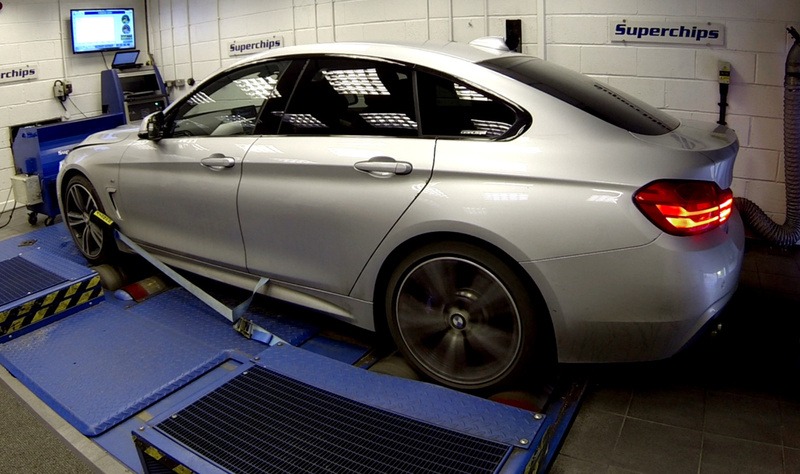 Having recently introduced remaps for the 3.0-litre diesel and 1.6-litre petrol engines, global engine ECU remap specialist Superchips has released a conversion for the 1.6-litre turbodiesel engine used across the BMW 18d range. Fitted to the 118d, 218d, 318d, 418d, 518d and the X3 18d and xDrive models, the engine releases 136bhp and 299Nm from the factory. However, the Superchips conversion adds 30bhp to this at 3908rpm and 56Nm torque at the same engine speed. This not only provides each model with improved performance but also greater driveability and more relaxed cruising with the new power and torque curves following the originals perfectly. In addition to the improved performance, drivers can also expect potential improvements in fuel economy of up to 7% when compared with a similar driving style. The device is fitted to the vehicle by one of Superchips’ nationwide dealers and the price of £449 includes labour and VAT. The conversion is covered by Superchips’ no-quibble seven-day money back guarantee and the device itself is also covered by Superchips’ product warranty*.